Update: EA has announced a brand new tier to its service: Origin Access Premier. You can read more about what it offers and how it differs below. Just like subscription-based TV services, there’s an increasing amount of choice when it comes to subscription-based gaming services. Sony and Microsoft have their own dedicated online services where games are there to sweeten the deal – PlayStation Plus and Xbox Live. However, they also have their own services dedicated purely to accessing a back catalog of games called PlayStation Now and Xbox Games Pass. However, Xbox One owners have another option available: EA Access. Check out our guide to the Games with Gold free games and PS Plus free games for a look at your other options. 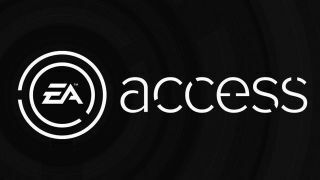 Launched in 2014, EA Access is publisher Electronic Arts’ own slice of the subscription service world, offering Xbox One owners access to its wide library of titles as well as some additional incentives. Though Sony was also invited into the partnership so that PlayStation owners could have access to the service, it declined. PC gamers on the other hand are able to use the sister service, Origin Access. Though it's an Xbox exclusive at the moment, EA Access may soon come to other platforms. In a recent earnings call, EA's CEO, Andrew Wilson, said that the service had become such a success the company would "continue driving this model to more platforms going forward." The exact consoles EA is looking to expand to weren't stated but it's highly likely PlayStation 4 would be the first port of call. What are the benefits of being an EA Access member? The most obvious benefit to being an EA Access member is that you’re able to play any of the games in its ever-growing instant access ‘Vault’. At the moment there are over 45 titles in the vault and members are able to download and play them for free as long as they’re still paying a membership. Outside of this EA game library there are also early access benefits and discounts to be had. EA’s Play First Trials give members of the service the chance to download and play new release EA games before anyone else. There are limits on how far into the game you can get and how much you’re allowed to play but typically you get to try out a new game around five days before its official release. If you like what you try and decide to purchase the full game, all of your progress from the trial carries over and you can get a discount off the full price. The member discount is 10%, but this applies to DLC, season passes, and Ultimate Team content as well as full games so you can making a saving several times over on games which continually release content. What is Origin Access Premier? First announced during EA Play at 2018's E3, Origin Access Premier adds a brand new tier onto the EA Access subscription service. While the basic subscription to EA Access allows players to access a full library of hundreds of games from EA and other partnering publishers, Origin Access Premier takes things a step further by offering brand new EA titles too. This means that, like Xbox's Game Pass, Origin Access Premier subscribers will have access to all the titles that ordinary EA Access subscribers do, but they'll also be able to play new releases like FIFA 19, Madden NFL 19 and Battlefield V.
The service will launch in mid-2018 and though we don't know exact prices just yet we'll update here as soon as they're announced.